I can’t believe how much more professional my blog looks because of the instruction from Suzi’s Theme by Number ecourse! This course walked me step by step through easily creating beautiful blog posts with Divi. You’ll love what Divi can do for your blog and you’ll love how easy it is to use with Suzi’s help! I have spent countless hours trying to set up a website that never looked quite right, wasting time and money in the process. While Suzi has a high level of expertise in blogging and technological skills, Suzi’s teaching style is friendly and down to earth, you feel as though you are talking to a good friend, and you feel comfortable and at ease. Suzi cares about her audience and delivers value far beyond the cost. The end result? You will take ACTION, and you will reach your GOAL. You learn how to effectively use the Divi theme in a short amount of time, and you will get results. 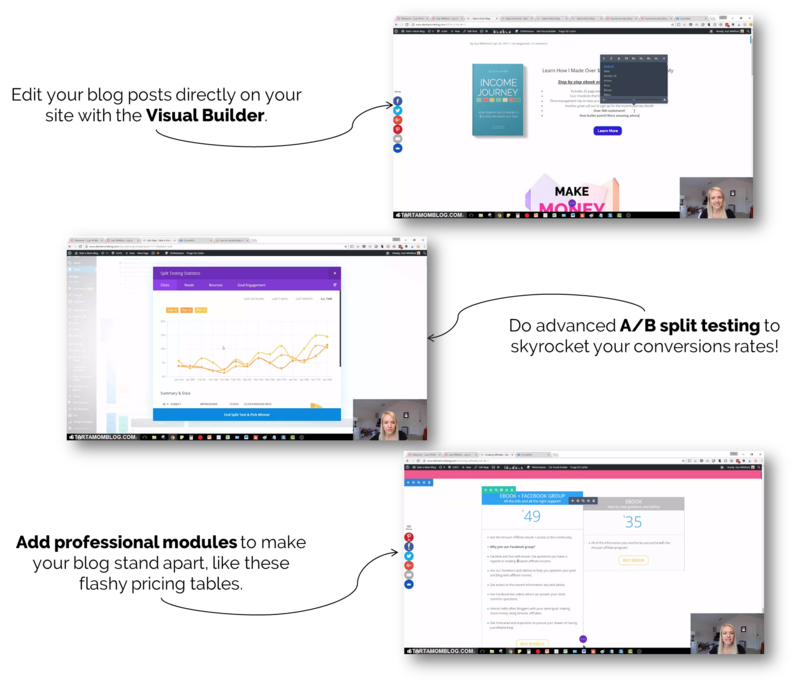 Start Here and Get Divi – Yearly Access or Lifetime? Thank you – You’re Wonderful! I was wasting countless hours Googling and changing themes and testing things out and then re-doing the whole thing. 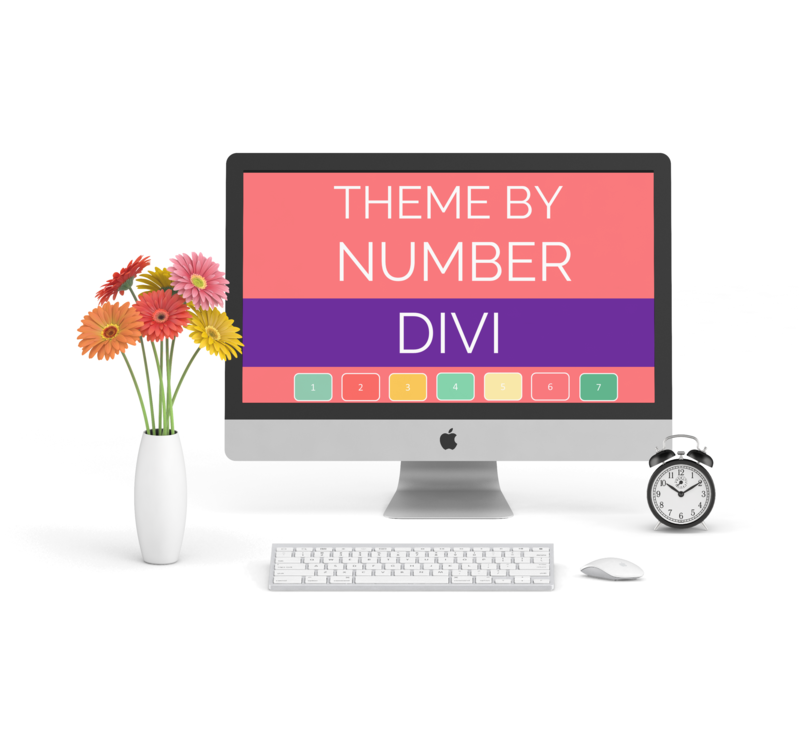 I learned about the Divi Theme and Suzi’s Theme by Number course and decide it was worth making the investment in a quality paid theme and the course to learn how to set it up! I am so glad I did! It was motivating, encouraging…and super intense – and I am amazed at how professional my blog looks now. I keep going back to my landing page and thinking “wow! I made that! I can do this!” I finished the course on track to meet my scheduled launch date. Thank you, Suzi! I was just a normal mommy with a dream of sharing my passion from the comforts of my home but super overwhelmed with the many different helpful tips on Pinterest. I was frustrated with the limitations on the blogging theme I was using previously but Suzi’s wonderful teaching videos and one on one help made the overwhelming internet world something that I could handle. Industrial engineer turned stay at home mom to three. Grew her blog from $0 to over $17,000 per month in a year. 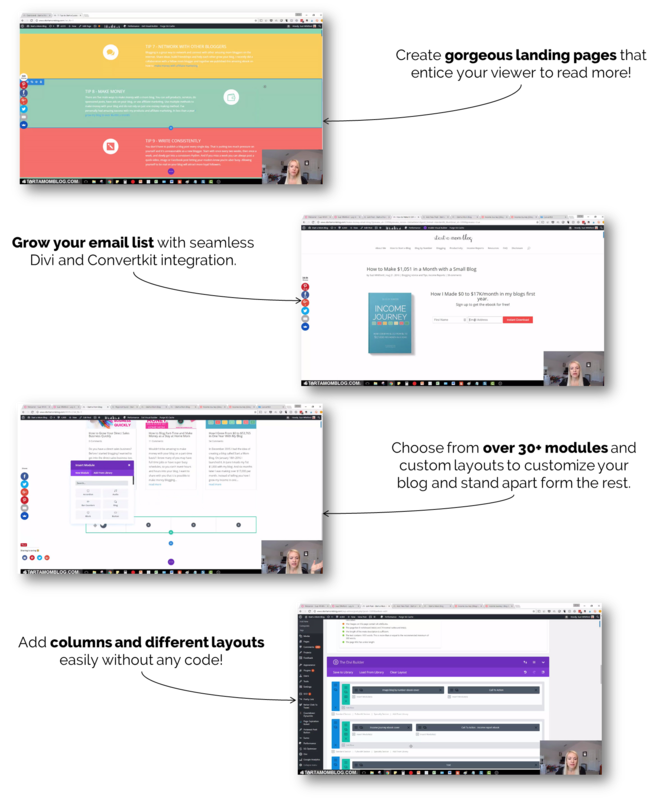 Step by step, click by click lectures to help you create a gorgeous, professional and high converting blog with Divi.